GOLD | Gescina The Chemistry of Nature Inc. It is a pure mono-atomic colloid, colorless, odorless and a very mild to the taste. It comes in 20, 50 and 80 ppm levels. The production of Pure Colloidal Gold is much more difficult and it has a more complex technology cycle compared to other metallic colloids. So this process combined with the fact the gold price is subject to market conditions is the reason this product can be more expensive! Famous alchemist of China Zcho Hun called this the Gold Elixir of Life an anti-aging and life-extension product. Gold atoms possess powerful energy. This energy is not only similar to the Sun’s energy, but it also similar to the human body. Since Pure Colloidal Gold is the closest to the frequency of Sun light it allows Pure Colloidal (mono-atomic) Gold to transfer that energy to each cell in your body almost immediately as super conductor would. One of the key reasons for this immediate action lies in the size of these nano particles which are 2 to 100 nanometers, and in large quantities. 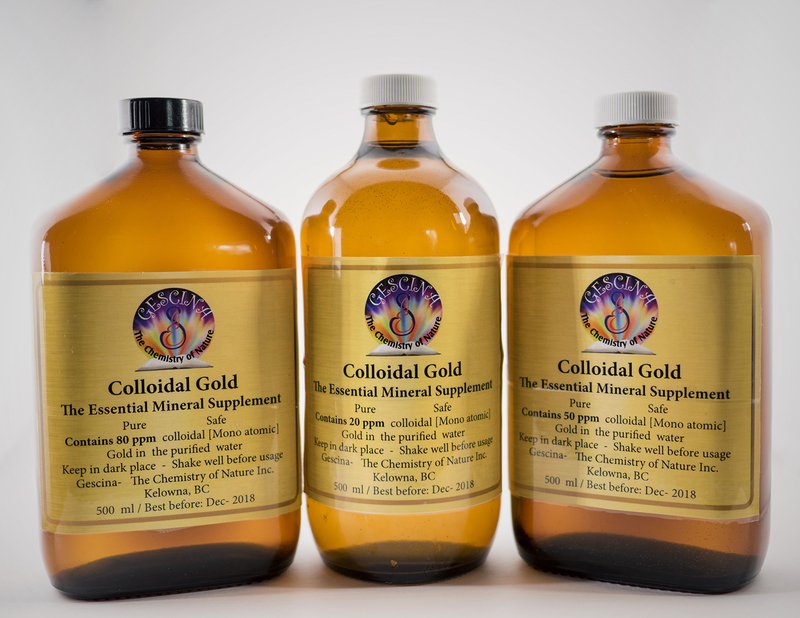 Pure Colloidal Gold activates and improves cellular energy of fibre, bones, skin and mucus membranes. 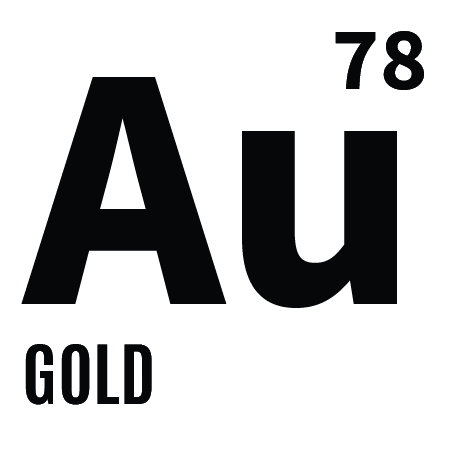 Gold saturates cells with Oxygen, Nutrients and carries in-overall, life-promotional and health-strengthening properties. It strengthens the immune system, cardio-vascular and nervous system, equates pulse, balances body temperature, improves memory and stimulates mental activity. In contrary to number of corticosteroids, used for treatment of rheumatism, provoking edema, arterial hypertonia, muscles weakness, degeneration of bones fiber, stomach ulcer, dermatitis, disorder of nervous system, diabetes, immune system disorders, colloidal Gold doesn’t have any such side effects. It often used in combination with Copper or Silver to treat pains caused by arthritis and other disorders. 1. In normal conditions, for general calm and wellbeing, take orally 20 or 50 ppm (part per million) Pure Colloidal Gold within 2 weeks, then make 1 week brake, and next two weeks – repeat course. 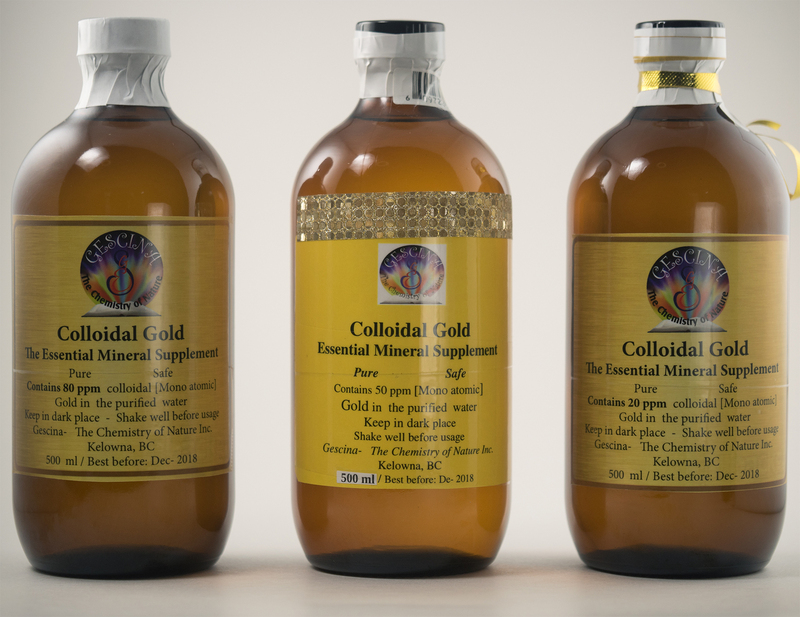 Daily dosage – 1 or 2 table spoons of Pure Colloidal Gold. Take 30-40 minutes before any meal in the morning or throughout the day. Pure Colloidal Gold should be taken sublingual (left under the tongue) and held there for about 2-3 minutes before swallowing. Taken in the morning can positively impact brain function, bring mental clarity allowing you to focus throughout the day. 2. If you have determined that you have a chronic illness, the concentration and amount of Pure Colloidal Gold should be increased to 50 or 80 ppm levels, taken orally 2-3 tablespoons per day within the first month. It would be beneficial to repeat the course 2-3 times a year. Your personal physiology should be taken into consideration. Sometimes, results are not visible, but benefits are there, as with all mineral food supplements. 3. To relieve stress, panic attacks, pains – one can drink 2-3 table spoons of 50 or 80 ppm Pure Colloidal Gold immediately and repeat 2-3 times a day, as needed within the first one to two weeks. Then return to single dose per day. It is good to combine 20-50 ppm Pure colloidal Silver and Gold, in equal amounts, to drop (2-3 drops) into each ear, when stress or pain occurs. 4. For various brain impairments, aging, tremors in hands and legs this could help alleviate some of the symptoms. Take orally 50 or 80 ppm Pure Colloidal Gold 2-3 times a day for the first month. This course can be safely repeated 2-3 times a year. For brain impairment please note; you can combine Pure Colloidal Gold with Pure Colloidal Copper 50 or 100 ppm. They work synergistically to help optimize brain function. Again for brain health especially take sublingual and hold for 2-3 minutes in mouth before swallowing. 5. For various skin diseases Pure Colloidal Gold can be used as rubbing liquid 80 or 150 ppm or apply our specially formulated face/body creams. We have also created a naturally balanced Nano-spray, that can resolve many skin issues.